Plastics.com™ White Paper provided by TransMagic, Inc. The IGES file has been the bane of the CAD/CAM/CAE world for years, yet it remains with us to this day. This article defines some of the problems with the IGES format. A follow-up article, Three Alternatives to IGES Files, will propose some alternative formats which are better equipped to handle most 3D design data needs. 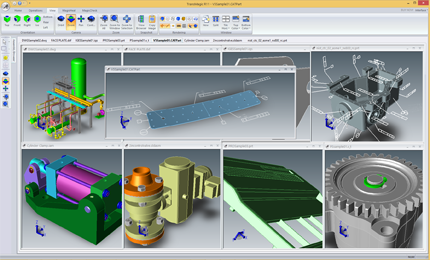 IGES stands for Initial Graphics Exchange Specification; it was first published in 1980 as a vendor-neutral file format to facilitate the transfer of information among different CAD systems, and though use has dropped in the last decade, IGES is still a widely used format in the manufacturing world. First, what’s so bad about IGES? 1. IGES is old. The last official version of the IGES standard was in 1996. At this writing, that makes IGES 19 years old, an eternity in the CAD world. By comparison, the STEP standard was first released in 1994, and has undergone revisions as recently as 2010. The new application protocol, STEP AP 242, which should eventually replace STEP AP203 and 214, was published in 2014. 2. IGES models are surfaced files and as such have no mass properties information. Figure 1: Solid models give us a rich amount of information about mass properties, surface area, and they allow us to easily see what’s going on inside the part using section planes. 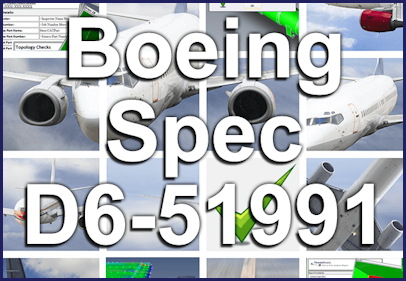 Though there is an IGES standard for solids (IGES-MSBO), it is rarely used. By way of contrast, solid models provide a wealth of information such as weight, volume, surface area, centroid and moments of inertia (see figure 1). They are also easily dimensioned, used to create orthographic views, and sectioned. 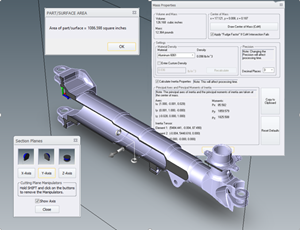 Solid models can also support MBD (Model-Based Definition) features such as PMI (Product and Manufacturing Information) which can clearly label GD&T (Geometric Dimensioning and Tolerancing) directly on the part, as well as associated notes critical to the manufacturing of the part (see figure 2). Surfaces can do none of that. 3. IGES models, being surfaces, do not typically work well in CAD/CAM/CAE applications. 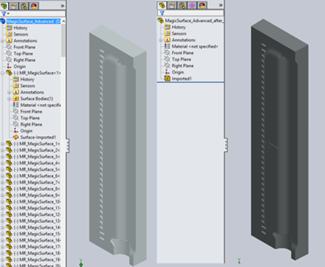 Figure 2: Comparing the results of importing a non-watertight IGES file vs a STEP file into SolidWorks. Notice in the screenshot at left that SolidWorks sees the IGES file as an assembly of almost 300 disparate surfaces. The screenshot at right demonstrates the result of importing a watertight STEP file; a single imported base feature. This part can now be run though feature recognition or used as is and further developed, feature by feature. Often it is desirable to make edits on an existing CAD model, but editing a surface is tricky business. It’s far easier to edit a solid model by selecting a face and adding a sketch or a placed feature. 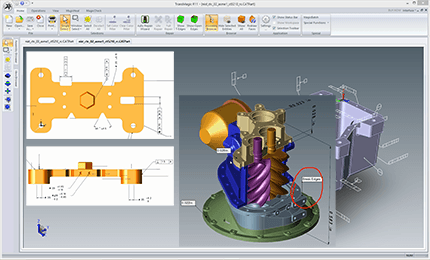 Feature recognition tools need solid model geometry to work with in order to accurately assess and re-create part features. 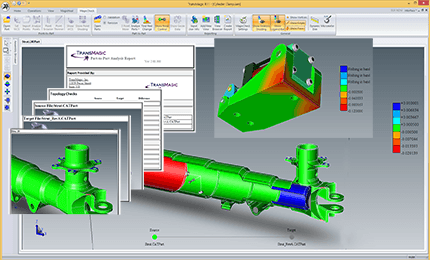 Almost all downstream CAD applications, including machining software, FEA, and 3D printing, require watertight solid model geometry. 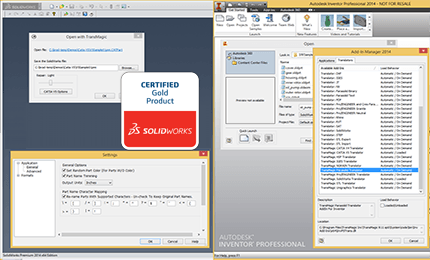 Figure 3 compares what appears in the SolidWorks feature tree when a surface model that has gaps is imported vs when a surface model without gaps or a solid model is imported. Some CAD systems can stitch IGES surface files without gaps into a solid model, but not all CAD or other downstream tools can do that. Figure 4 shows the result of importing a IGES surface model without gaps into Inventor vs importing a STEP file. The STEP import is the image on the top of the figure; notice that the file imported as a “Base” feature, meaning you can now build further features on it (or use feature recognition on it). The surface model with gaps is the image at the bottom of the figure; note that it comes in as what Inventor describes as a “Composite”. There is no ability to add features to this part, or perform feature recognition. A user may be able to resolve a good surface model into a solid using the CAD system’s modeling tools, but starting with a surface model ultimately ends up creating more work for the user. 4. IGES files often need to be repaired. For the reasons listed above, IGES files often require time-consuming repair or complete remodeling. As the 2013 State of 3D Collaboration and Interoperability Report noted, nearly 50% of engineers spend over four hours a week fixing design data; it is easy to see how so much time spent repairing models could throw off the production schedule. What to do if you are stuck with IGES? Generally speaking, anyone using IGES today should be doing so because they have no other options. Those who must deal with IGES files should make sure they have the in-house tools to make geometry repairs (such as removing duplicate vertices, zero area faces, and extending and reintersecting faces) and are able to sew the various surfaces into a watertight solid. Additionally, users should have the tools to translate watertight solids into more viable formats, such as Parasolid, SAT, JT, CATIA, STEP, etc. Fortunately however, most of the time there are other options to IGES. These options will be explored in Three Alternatives to IGES Files. 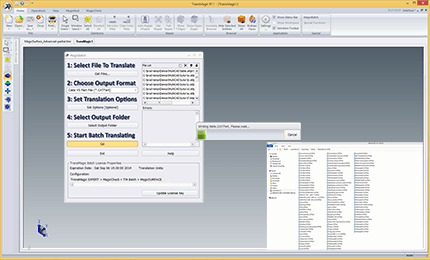 TransMagic products automate and enhance CAD file translation, repair and comparison. Use the product wizard to see how TransMagic can address your needs.